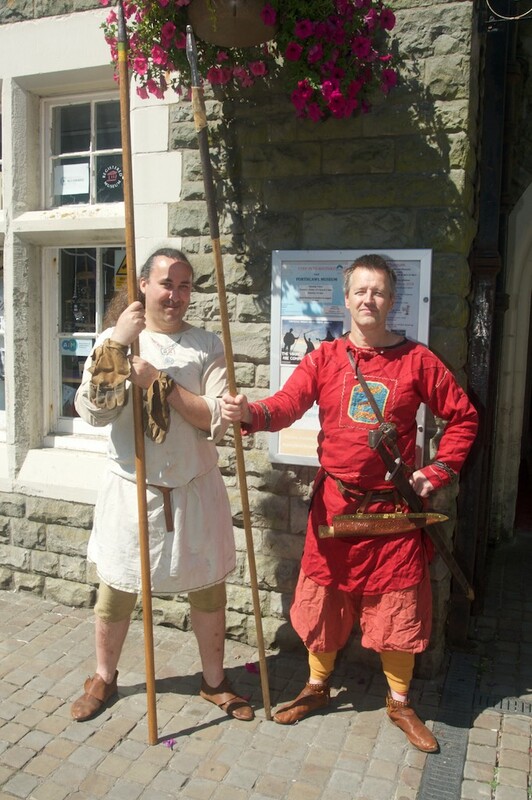 Pupils of of Brackla Primary School, Bridgend became museum curators last week, after being given space at Porthcawl museum to display their Viking project work. 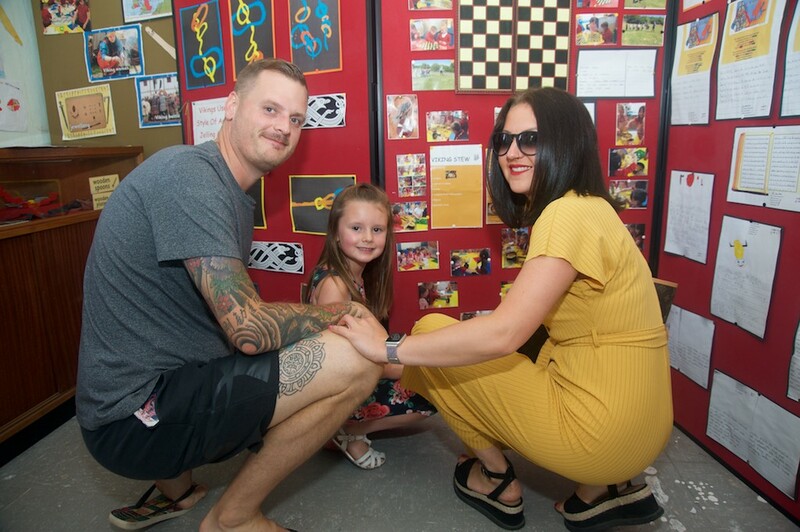 Groups of children moved the work from the school where it has been on display and with the help of some of the museum volunteers rearranged the project around one of the recently renovated rooms at the museum. 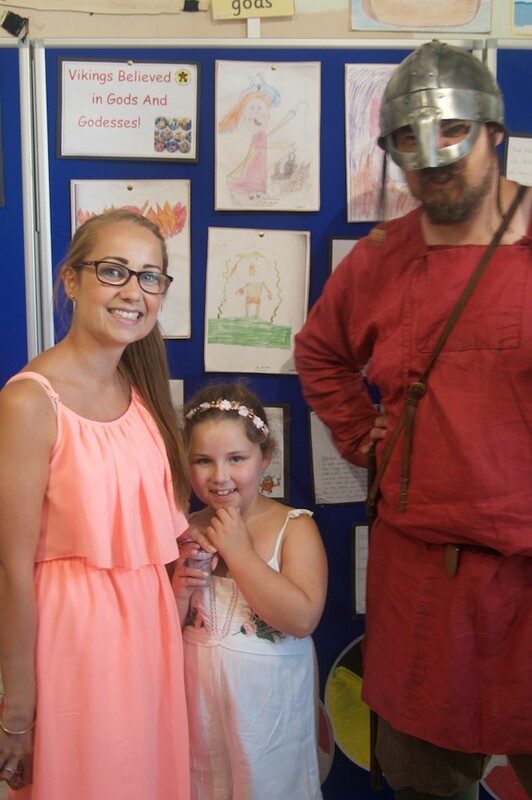 The display was open to the public on Saturday the 14th many of the pupils proudly showed the work to their parents and family, the display was timely as it coincided with a visit to the museum of members of Gwerin Y Gŵyr the Swansea Branch of the National Viking reenactment society Regia Anglorum. 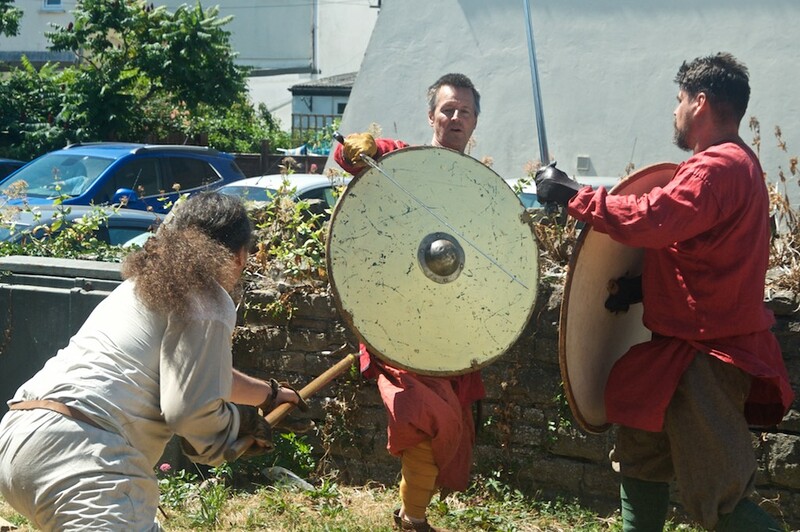 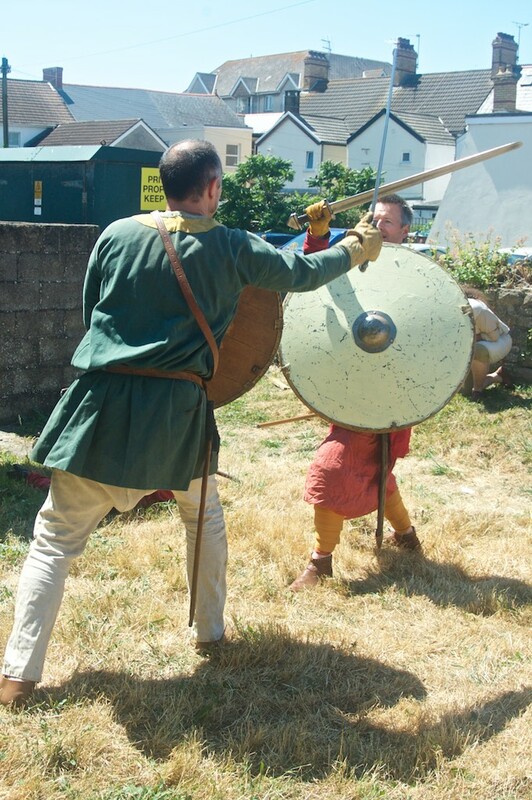 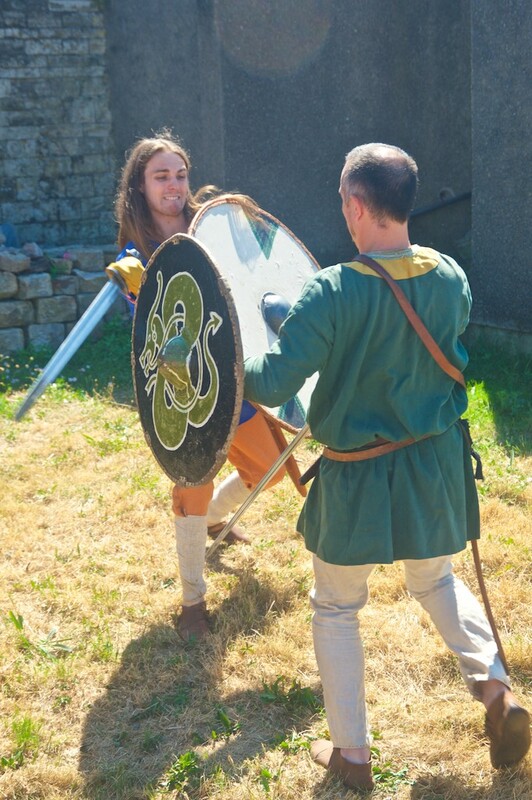 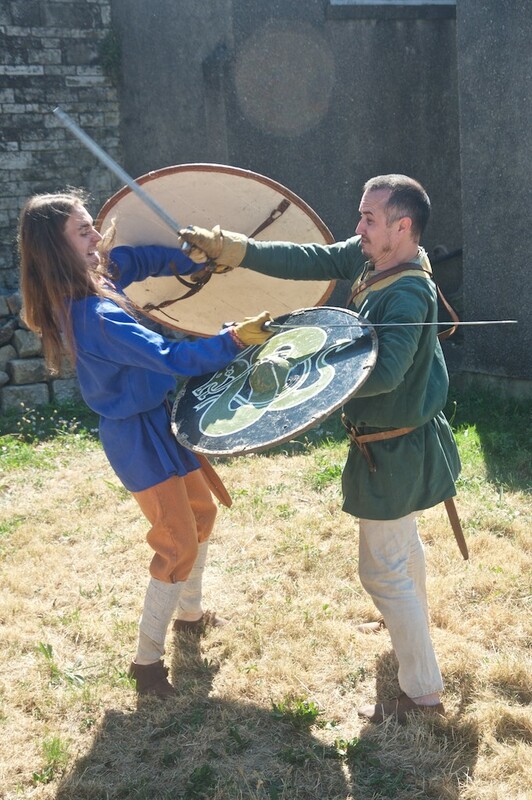 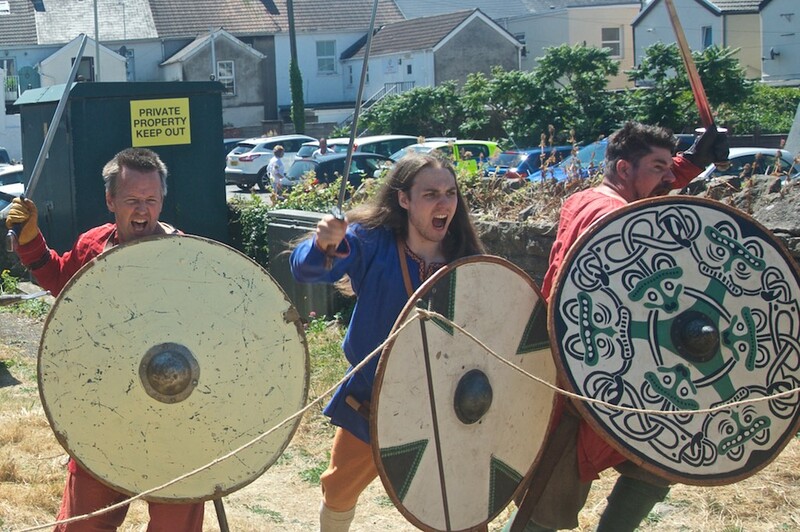 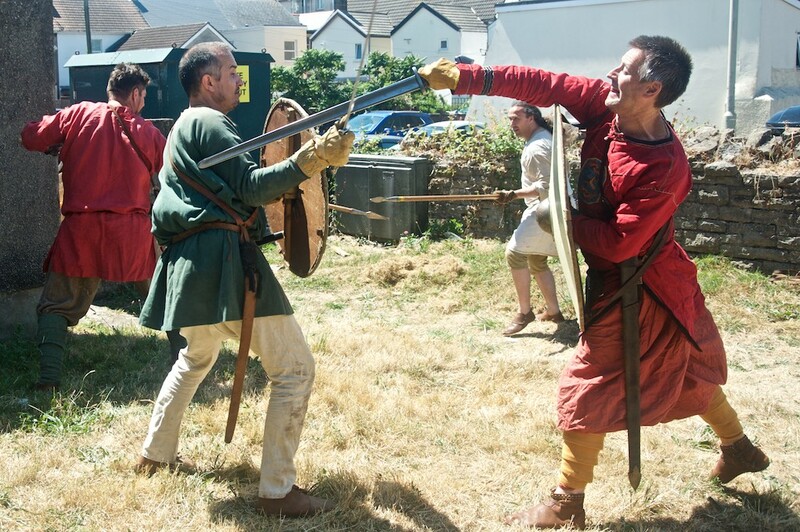 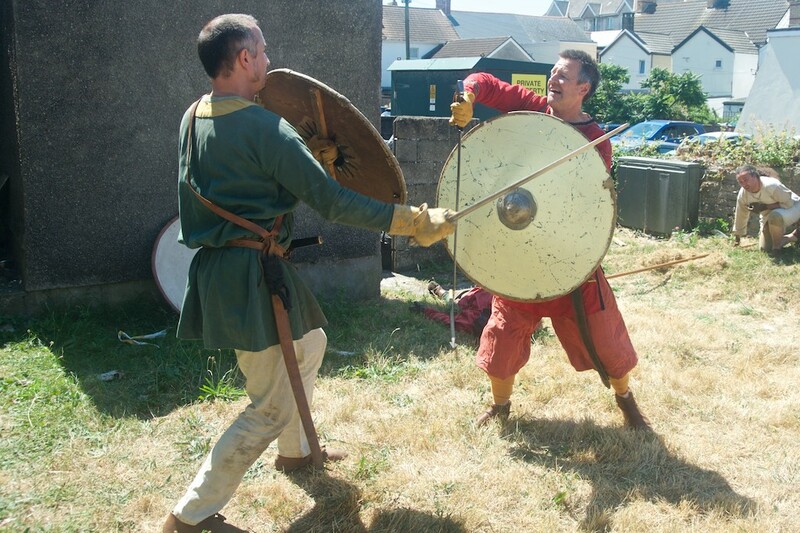 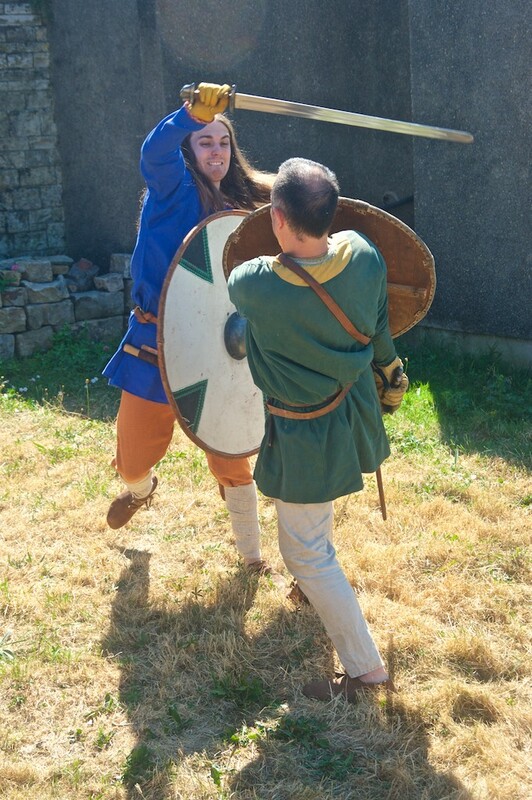 The Vikings set up camp in the museum grounds and spent the day demonstrating daily Viking life including their fighting skills to the the pupils and other visitors . 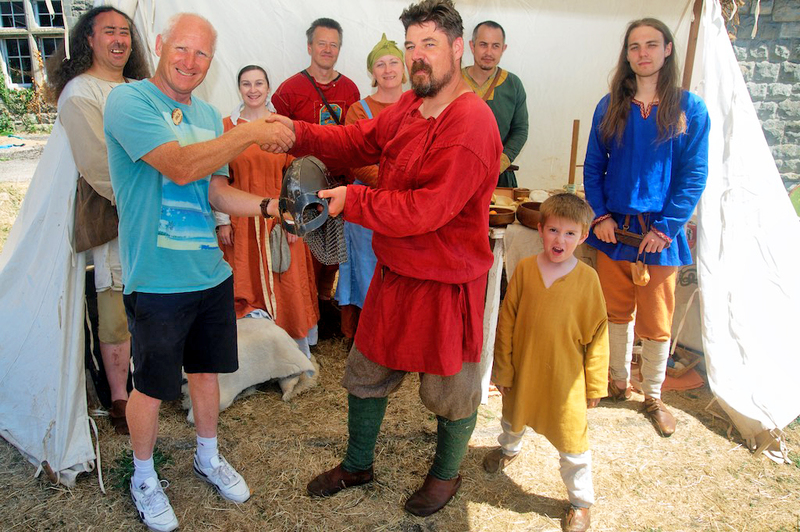 Museum volunteer Elaine Newman who planned the visit with the school commented that " The museum team enjoyed working with the pupils and teachers so much that we all look forward to assisting them with future projects"
At the end of a successful day the museum chairman Paul Joseph was delighted to receive the gift of a hand made replica Viking helmet from Myles Stevens and his fellow members of Gwerin Y Gŵyr.